Two reports, one in the journal Nature and another by the World Health Organisation, provide information on progress against malaria. 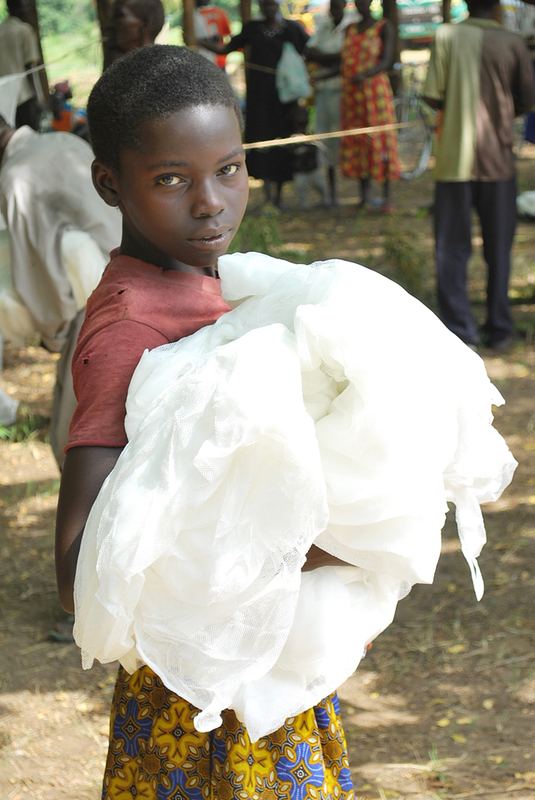 Insecticide treated bed nets were responsible for 68% of the reduction in malaria cases. "Bed nets were responsible for the vast majority of the decrease." "...despite the progress, the job is far from done. A child still dies from malaria every minute in Africa." "Eight African countries are aiming to eliminate the disease by 2020 including Namibia." "We know how to prevent and treat malaria. Since we can do it, we must." We have had a number of questions regarding our application to achieve DGR status in Australia and we are happy to share the following information in case it can assist other organisations considering their charitable status in Australia. We applied to the Australian Charities and Not-for-profits Commission (ACNC) to be considered for Public Benevolent Institution (PBI) status. Application document; support document. 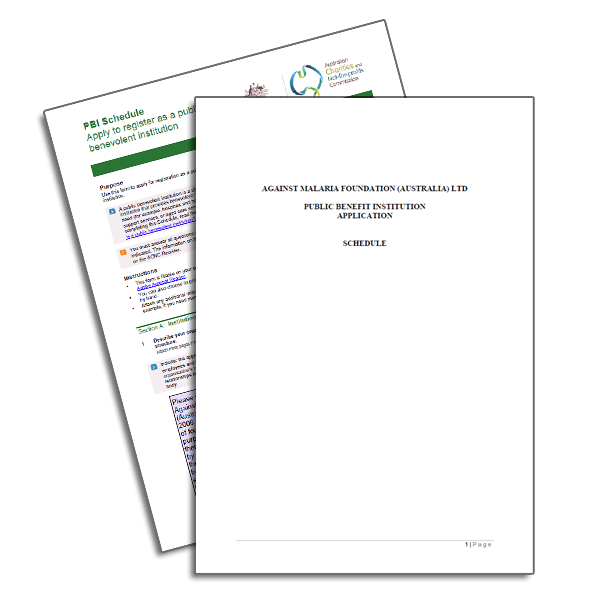 PBI status was granted by the ACNC six weeks after our application was submitted. Our experience was the ACNC were super-efficient, thorough, and always helpful and courteous. We were impressed throughout. Once PBI status was granted we applied to the Australian Taxation Office (ATO) to be considered for a Deductible Gift Recipient (DGR) endorsement. DGR status was granted by the ATO four weeks after our application. Our experience was the ATO were efficient and always helpful and courteous. The main difference between this application process and prior (unsuccessful) efforts was the application for PBI status to the ACNC rather than an Overseas Aid Gift Deduction Scheme (OAGDS) application to AusAid. We are happy to help with questions if contacted directly. 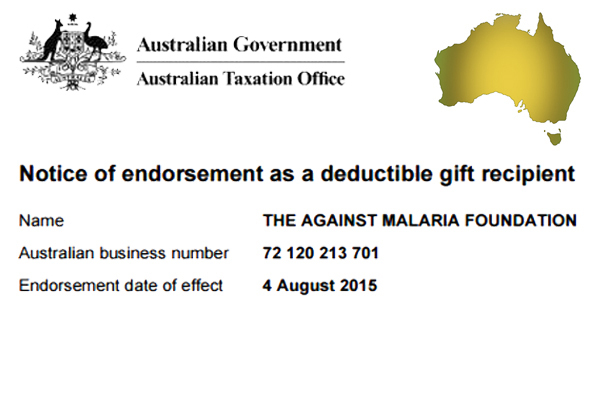 We are delighted to say AMF now has tax deductible status for donors in Australia! AMF (Australia) has been granted Deductible Gift Recipient (DGR) status effective 04 August 2015 by the Australian Taxation Office so any donations made to AMF (Australia) on or after that date can be considered tax deductible by the donor. Note: All online donations from Australian residents (as identified by the credit or debit card address being in Australia) are automatically to AMF (Australia). For those wishing to make donations by bank transfer or cheque, the relevant bank account and address information can be found on our donations page.